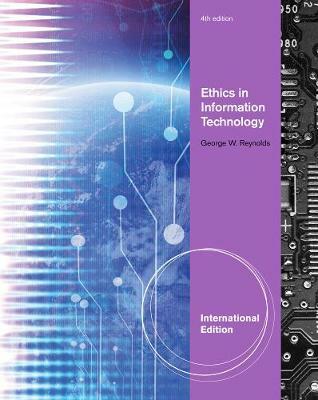 Now current or future business managers and IT professionals can gain a strong understanding of the legal, ethical, and societal implications of information technology with ETHICS IN INFORMATION TECHNOLOGY, 4E, International Edition. Readers find today's most up-to-date, thorough coverage of technology developments and their impact on business as they study file sharing, infringement of intellectual property, security risks, Internet crime, identity theft, employee surveillance, privacy, compliance, social networking, and ethics in IT corporations. This book offers an excellent foundation in ethical decision-making for current and future business managers and IT professionals with practical checklists, business vignettes, and thought-provoking questions to challenge the reader's knowledge.